The photo attached shows (blue) two shadows cast by the bike from two different angles: 161 and 23. Setting the shadow angle between the two values would place the shadow somewhere in between the two existing ones. Okay... but neither of these correspond with the direction of the sunlight, instead the shadow should be cast in front of the bike (marked in red). Thanks man! ...so basically it's a "no can do"
Practise making a shadow manually. Most often used with text but for your bicycle layer. shear to match the direction of the light. Adjust the opacity to suit. Looks more complicated than it is. but as Ofnuts pointed out because of the orientation of the bicycle the shadow tends to be long and thin. Instead of giving up why not think of ways around the problem. 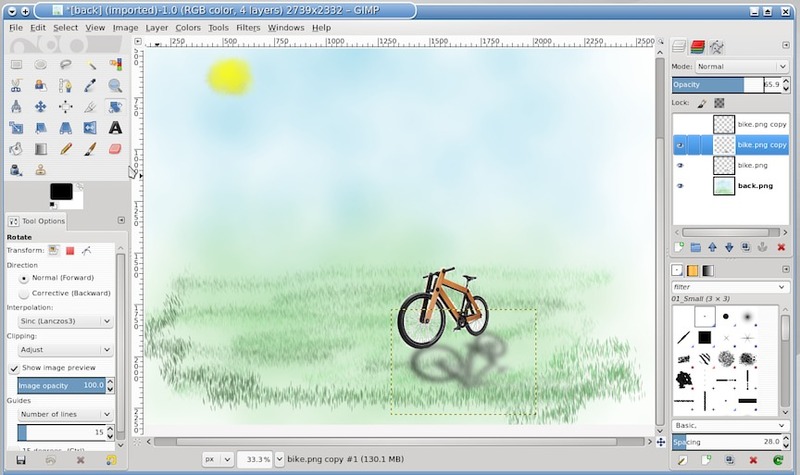 A simple way would be to flip the bicycle layer horizontally so it presents broadside to the sun. then the procedure to make a shadow is the same as above. I would do it with manual painting on a new layer. It is probably quicker to copy the shadow from the photo by eye, and not try and use the actual photo. I found an interesting way to get maybe an accurate direction of the shadow. On the left picture, I first flipped the shadow vertically, then horizontally, then rotated it to match the angle of the wheels. - with rotate tool( ), if you drag the middle cross-hair , you can pivot the rotation to wherever point you put it. 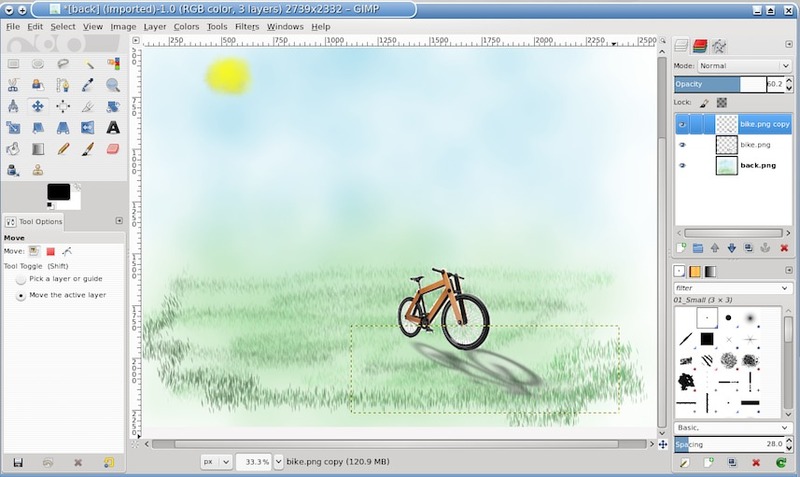 - First, use the move tool to line up the back wheel shadow with the bike's back wheel. I made a parallelogram, parallel to the angle of the sun rays & ground angle.